In my experience, people either love cabbage/cruciferous vegetables or they don’t. I’m emphatically on the love end of the spectrum, and cabbage is one of my favorites. This preparation, another taught to me by my mom, is my favorite way to eat cooked cabbage. 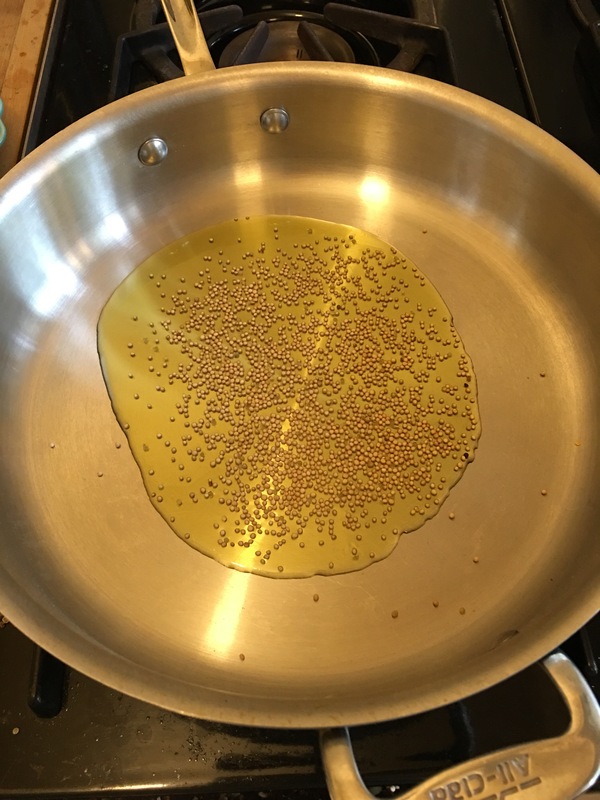 Place olive oil and mustard seeds in a large, deep skillet over medium-high heat. 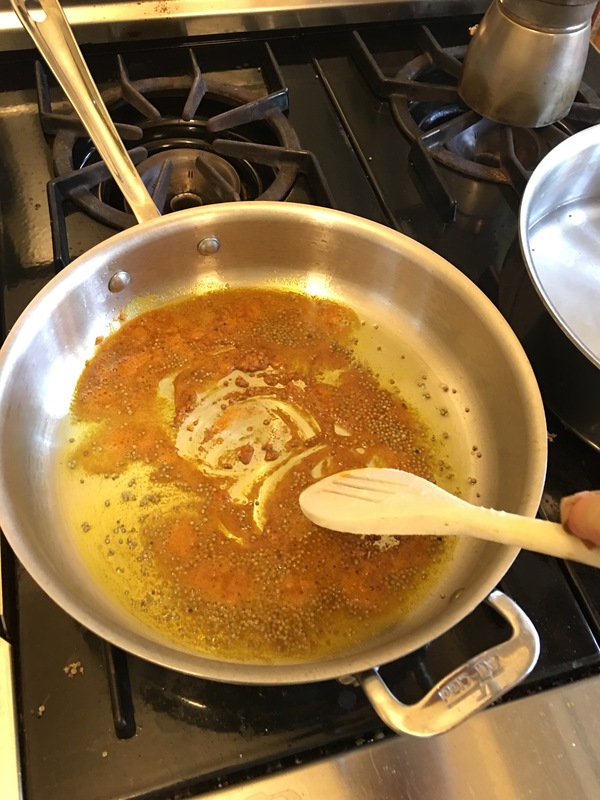 When the mustard seeds start to pop and bounce around, add the turmeric and stir for a minute. Lower heat to medium. Add your cabbage and stir until coated with oil and turmeric. Stir and fry until soft, adding a tablespoon of water if the spice mixture starts sticking to the bottom of the pan. 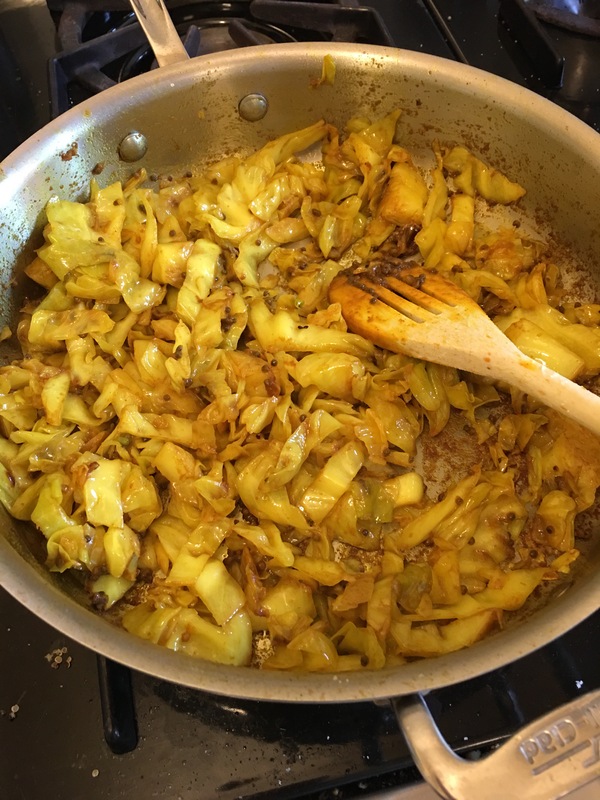 After 5-8 minutes, sprinkle salt and sugar over cabbage, stir, cover, and allow to cook for 5 minutes until golden and carmelized. Makes a lovely side dish, but honestly I could probably eat a skilletfull plain!